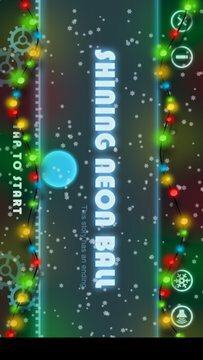 Shining Neon Ball is a very simple game. In it there is no history, there is only one purpose – not to allow the shining ball to face an obstacle. At first glance, «Shining Neon Ball» may seem a very simple game. It is necessary to tap on the left side of the screen to move the ball left and right of the screen to move to the right to avoid a collision with obstacles and to pass under them. It seems that this is no big deal. But not everyone is the first few times will be able to score at least 4 points. Thus complexity to game is given by a platform which constantly moves in the opposite direction and bends to the left or the right, pushing away your ball back. 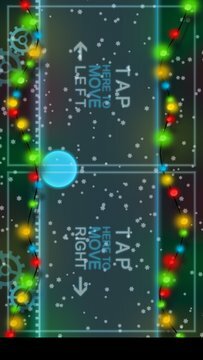 At collision with an obstacle you press "Restart" and start scoring points again. All you need - is to pass under a greater number of blocks with spikes, thus gaining more points! Good luck! And remember, this game has an ending! Show «Shining Neon Ball» your friends!